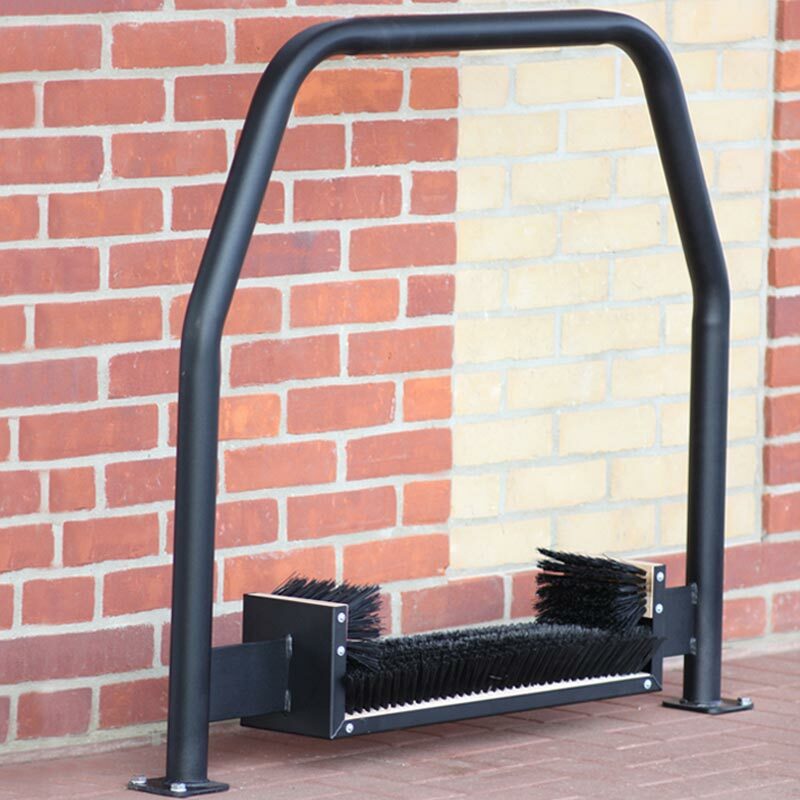 The Harrod Sport ® Premier Floor Fixed Boot Wiper is designed for single person use outside communal changing areas. The Premier Boot Wipers are extremely sturdy and hard wearing. Manufactured from 2mm thick x 50.8mm diameter steel. Polyester powder coated matt black 1m out of ground height. 2 individual 610mm x 73mm wide brushes with 65mm long black bristles. 2 individual 152mm x 73mm wide side brushes with 65mm long black bristled brushes. 2 internal shoe scraping plates (Internal for added safety). No bolts or fixings included. Lost the instructions for your Harrod Sport ® Premier Floor Fixed Boot Wiper? Please Click Here to download a new copy.